Efest brand stands out for safe, reliable and durable products. They make batteries which suit well different vaping devices. 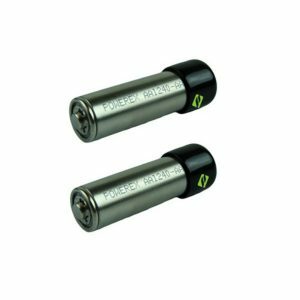 The high quality is a distinctive feature of Efest batteries. This is the reason why this brand is very popular among vapers. 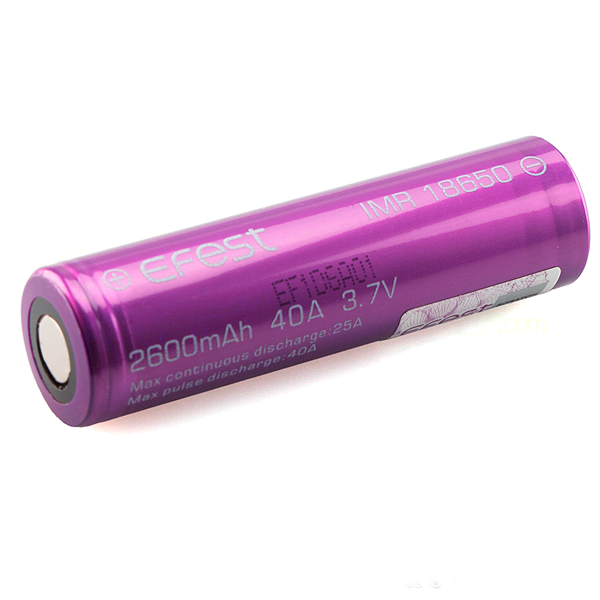 Efest IMR 18650 2600mAh 40A is a good option to think about if you are searching for a battery for your e-cigarette. This lithium-ion battery by Efest has a 2600mAh nominal capacity. Also, it comes with 40A max pulse discharge current. So, thanks to large capacity and a high discharge current, the battery is a good option to use with mechanical mods and regulated mods. Besides, except for impressive power capabilities, 2600mAh battery by Efest has a convenient flat top design. Moreover, a new wrap ensures extended longevity. Safe, durable and powerful Efest battery will impress vapers with its great performance. 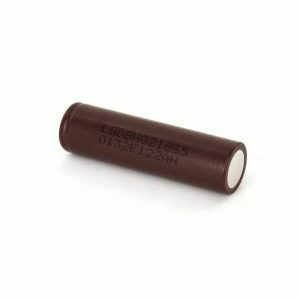 In sum, there is no doubt that choosing a suitable battery for your vaping device is very important. 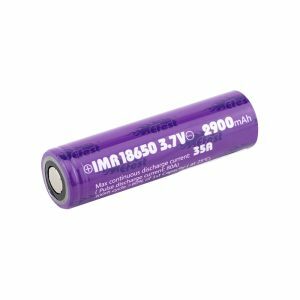 So, Efest IMR 18650 2600mAh 40A battery is a product of excellent quality which is worth considering about.